From Civil War to Civil Rights, the 2013 annual conference of the Baptist History & Heritage Society explored the theme of “Faith, Freedom, Forgiveness: Religion and the Civil War, Emancipation and Reconciliation in Our Time.” Dr. Edward L. Ayers (President, University of Richmond) presented 19th century Baptist minister Robert Ryland as a ‘mirror to our time’ in exploring racial reconciliation. Dr. Harry Stout (Jonathan Edwards Professor of American Christianity, Yale Divinity School) explored how U. S. President Abraham Lincoln’s faith played a critical role in the formation of the Emancipation Proclamation. Dr. Andrew M. Manis (Middle Georgia State College) spoke of the incomplete nature of the Civil Rights movement and challenged listeners to continue working toward racial reconciliation, a theme echoed by a panelist of Richmond civil and religious leaders. In addition, some three dozen breakout presentations also encompassed the vast territory within the conference theme. Finally, many participants toured Civil War, emancipation, civil rights and Baptist sites in Richmond. Altogether, an estimated 250 persons attended one or more sessions of the conference. BH&HS award recipients for this year were: Mike Williams (W. O. Carver Distinguished Service Award), Glenn Jonas (Carolyn Blevins Meritorious Service Award), Carol Crawford Holcomb (Norman W. Cox Award), and Wake Forest University Special Collections and Archives (Davis C. Woolley Award). The passing of Society member, former Society president and long-time leading Baptist historian Dr. Harry Leon McBeth (May 4, 2013) was acknowledged with a published tribute written by Karen O’Dell Bullock and included in the front of the Program and Resource Guide. Select conference presentations and papers will be published in the Summer 2013 edition of the Baptist History & Heritage Journal, a journal that accompanies membership in the Society. Fred Anderson, executive director of the Virginia Baptist Historical Society and the Center for Baptist Heritage & Studies, both of which were co-sponsors of the conference, was absolutely instrumental in the success of the conference. Next year’s annual BH&HS conference will be June 4-6, 2014 at Sioux Falls Seminary in Sioux Falls, South Dakota. The theme will be “Exploring the ‘Other’ Baptists,” and the University of Sioux Falls and the Association of Librarians and Archivists at Baptist Institutions will be co-sponsors. Presentations and papers will focus on lesser-known Baptist groups, as well as the tasks of research and archival work. The 2014 conference will, accordingly, assist the Society in expanding its focus in the broader Baptist world and in working more closely alongside the multitude of Baptist libraries and archival collections that exist throughout the United States. I hope you will make plans to join us in South Dakota in 2014. Editor’s Note: This is an abbreviated version of an article that originated in the April 2013 edition of Baptists Today. The news of the death of Duke K. McCall on 2 April took me back nearly 43 years. In 1970 I was thinking about a life in ministry. My father, Al Wilson, responded with enthusiasm. Dad suggested that we “call that Mr. McCall at the seminary in Louisville.” Dr. McCall was President at The Southern Baptist Theological Seminary. He had been a guest preacher/teacher at our home church, Calvary Baptist, in Evansville, Indiana. My Dad was an active layman: deacon, finance committee chair, volunteer youth advisor, and Sunday school teacher. In those days Baptist laymen like my father regarded seminary professors and administrators as part of the family. With a son thinking about a life in ministry it was natural for my Dad to seek the best help and advice he could. Two things about that afternoon in an early Indiana spring amaze me: (1) that Dad was home and (2) that the President of Southern took the call. My father has lived most of his adult life as a building materials salesman; a “traveling salesman” is the common term that describes more precisely his work. Dad was in the Pacific during the final long months of World War II. He returned home to a wife and two-year old son and took advantage of the G.I. Bill, enrolling at Indiana State University. By the time he finished his degree from the Teachers’ College he and Mom had welcomed four daughters to the nest. Three years later I crowded in as the sixth and last. Through his college years Dad supplemented his income working at a lumber yard. It turned out that building materials did a better job supporting a family than did a college education. It’s no wonder that Dad wanted to “call that Mr. McCall at the seminary in Louisville.” Only in retrospect can I appreciate the sacrifice Dad made to be home on a spring afternoon. He had looked up the number for Southern. He placed the call. I am sure I fidgeted as I waited to see what would happen. Vividly, I recall Dad telling Dr. McCall, “My son is thinking about the ministry. Could you talk to him?” It happened that quickly. Yes, there were some introductions, but they were succinct. Soon I was on the phone with Dr. McCall. He asked about my “call” and asked about my plans. I’d not been socialized for higher education and genuinely did not know that I needed to go to college before I could enter Southern. I shared my father’s naivetés. Dr. McCall was remarkable. Gently he nudged me toward colleges: “Mississippi College, Samford University, and Oklahoma Baptist University.” (In retrospect, I wonder why he did not include his alma mater, Furman). I applied to only those schools and chose MC because they were the first to offer me a ministerial scholarship. I’d never been to Mississippi! How times have changed since 1970. Five years later I was a student at the seminary in Louisville. One afternoon I saw Dr. McCall in a Norton Hall corridor. With the naïve impudence of my father I engaged the President. He was gracious. He said he recalled our conversation. He welcomed me to Southern. In one conversation McCall had a lasting influence on my life. In a second, as I look back, my future was sealed. At Mississippi College I found myself and a tradition. There, too, I met Lucy, my life partner for 38 years and counting. Some of my best friends today were college friends then. I stayed at Southern for seven years (’75-’82). They were hard years for Southern and a progressive Baptist tradition, especially beginning in 1979. My understanding of and identification with Baptists in the South deepened. President McCall—and most of my professors—set high standards for personal and academic integrity. The irruption of Baptist Wars exposed strengths and weaknesses of character that have guided me since. For the last 31 years I have sought to live up to those high standards as a university professor. My story may be unique, but it is not isolated. As impressive as the high-profile legacy of Duke K. McCall is, I am certain that his low-profile legacy—providing encouragement, support, and a model for laypeople in the churches, to high school students too naïve to know what questions to ask to faculty, to administrators, to trustees—will reverberate through the lives of Baptists in the South, and the world—for years to come. Thanks, Duke K. McCall, for your life and legacy. Aaron Weaver is Communications Manager for the Cooperative Baptist Fellowship. Weaver blogs at The Big Daddy Weave and is the author of James M. Dunn and Soul Freedom (Smyth & Helwys, 2011). Since the massacre of twenty children and six adults at Sandy Hook Elementary School on December 14, 2012, the subject of gun control has dominated political discussions. In recent weeks, however, the trial of Kermit Gosnell has captured the attention of many across the nation. Gosnell is, of course, the abortion provider who was charged and eventually convicted of first-degree murder for the deaths of three babies that were delivered alive and killed in gruesome fashion at a Philadelphia clinic. Both the Sandy Hook massacre and Gosnell killings have sparked lively conversations about the regulatory role of government and the often inconsistent ways the left and right in American politics treat these issues. Powers’ column reminded me of an insightful essay published on CNN.com last year from Mark Osler, professor of law at the University of St. Thomas Law School in Minnesota and a former professor at my alma mater, Baylor University. Unfortunately, we long ago ceded abortion as an issue of moral significance to the Religious Right. Visit a gathering of progressive Baptists. There, you will likely hear much talk of the biblical pursuit of peace and justice. Resolutions will be passed that affirm the dignity of disadvantaged groups and champion their equality within church and in society. But, it is highly unlikely that you will hear a peep about the dignity and rights of the pre-born. As a justice-seeking Baptist, I wonder why we do not not insist on greater limitations on abortion rights in the same way that many of us urge restrictions on gun rights? After all, greater government regulation is central to our ethic of social justice, especially when it comes to any number of poverty-related issues, health care, the financial marketplace and the environment. And, we also respect, if not revere, science. Our endorsement of consensus science has long set us apart from our conservative brethren across the Baptist aisle who proudly deny evolution and the reality of climate change. So, why do more of us not do as Powers and Osler have done and speak out against, to quote Powers, “our country legally endorsing infanticide”? I don’t have the answer. But our silence is certainly not golden. When I was a student at the Southern Baptist Theological Seminary in Louisville, Kentucky (1967-71), Dr. Glenn Hinson, as my professor, was a seminal figure in the shaping of my life in a number of important ways, including the discipline of “spiritual formation.” Such a concept was, at the time, foreign to me, hardly something most Southern Baptist youth of my generation and religious/cultural circumstances had much cause to consider. 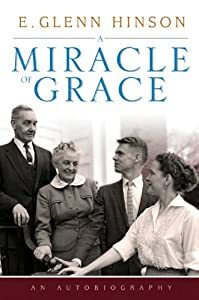 Yet, as Hinson presciently discerned, post-World War II Southern Baptists were baptized into the business world’s criterion of culturally defined success, a commodified Christianity that supplanted spirituality. Reading professor Hinson’s recently published autobiography, has, for me, evoked both gratitude and grief. Just as Hinson reveals moments and persons of grace in his life, so do I identify such moments and persons in my life as well, none more profound than in my experience as a seminary student. Hinson describes in painful detail how that very seminary where I studied — and where he studied in a previous student generation — was subsequently hijacked by the propositional theology of Southern Baptist fundamentalists. As did I, he grieved over the loss of integrity and faithfulness in the life of his seminary. As a child born into a dysfunctional alcoholic family, characterized by economic deprivation and violence, Hinson acknowledges early coping strategies which he would come to identify as seemingly innate. Foremost was a tendency to try to avoid conflict at all cost, although, in the later years of his tenure as a seminary professor, he would become a lightning rod for his criticism of inerrantists. Legend has it that President James A. Garfield once defined education as “Me on one end of a log and [his beloved teacher] Mark Hopkins on the other end.” In Miracle of Grace Glenn Hinson cites various incarnations of Mark Hopkins in his life, none more instrumental than schoolteacher Miss Bertha Brown, who nurtured, instructed and inspired him in a crude, one room schoolhouse in the Missouri Ozarks. From such humble educational beginnings, Hinson developed a thirst for learning, coming to realize his aptitude for scholarship. The journey that began in that simple schoolhouse would eventually led him to college at the prestigious Washington University in St. Louis and, later, a second doctorate (in church history) from Oxford University in England. Academic pursuits led to what Hinson describes as an “intellectualizing” approach to living, a method of distancing himself from his fear of emotional closeness and the risk of being hurt. Later, when this defense was co-opted by his lovely wife, Martha, the couple became “wounded healers” for one another. As a doctoral student at Southern Seminary, Hinson specialized in the study of New Testament Greek. During this time he suffered a devastating loss that came to affect his speech, a development that contributed to his emerging “pastoral identity.” A later shaping event took place in the form of an encounter with the late Thomas Merton, who introduced Roman Catholic moral and spiritual tradition into Hinson’s life in a profound manner. Hinson’s emergence as something of a token Southern Baptist engaged in extensive ecumenical relations and inter-religious dialogue invokes the “in the world, but not of it” cliche often offered as instruction in Christian living. For Hinson and those he mentored, such dialogue countered the exclusivity and imperialism of institutionalized Southern Baptist theology and ecclesiology. From within the often walled-off world of Southern Baptist Theological Seminary, Hinson learned and taught others to understand ekklesia as including all, across the centuries, who have confessed Christian faith in its many and varied expressions. Glenn Hinson’s story is remarkable and rich, evidencing both the grace and providence of God. Few rise from such humble circumstances to make such an impact in the world as has Hinson. Few among us possess the intellectual giftedness on the one hand, and the pastoral sensitivity on the other, as does Hinson. Yet his story shares a space with all of us: in all circumstances, God’s grace is available to us, a grace that when embraced wills to shape us in remarkable ways. Monty Knight is a pastoral counselor in Charleston, South Carolina. Visit his website and weekly blog. June 17, 2013 — 108th Annual Session of the Congress of Christian Education, St. Louis, Missouri. More information. July 29-August 2, 2013 (and again September 16-20) — Big Sky Immersion Seminar, “Re-imagining Christianity in the 21st Century,” Bozeman, Montana. Hosted by Yellowstone Theological Institute, leaders for the seminar include historians Bill Leonard (first seminar only) and Bruce Gourley and Emergent theologian John Franke. Come join us for fly-fishing in Montana, hiking in Yellowstone National Park, great food and compelling conversation. More information.